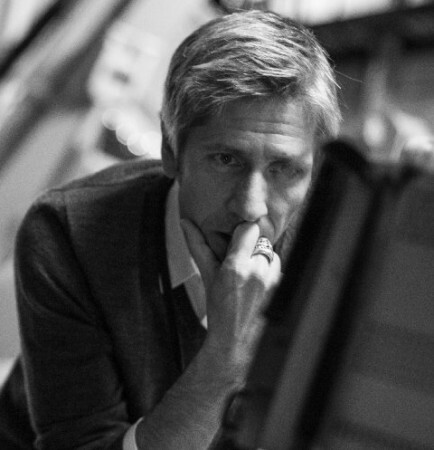 Paolo Monico is an award-winning Italian director based in Brooklyn, New York. His impressive resume includes directing 25 music videos for major Italian artists and 100+ commercials for clients such as Coca-Cola, MTV, Honda, and Playstation, and now his first short film, The Mother. The film will be in competition at the next Rhode Island International Film Festival from August 4th-9th. Paolo was inspired to write and direct this short film when his father, Alessandro, died of pleural mesothelioma in 2002. However, his purpose is not solely to remember his dad, but also to raise awareness about the risks of asbestos, the terrible diseases associated with it, and the need to ban it in the U.S. and around the world. ADAO is extremely thankful to Paolo for raising asbestos awareness throughout the world and also sharing his personal experiences with us. Below you can find Paolo’s exclusive interview with ADAO and his films trailer! Linda: Tell me about how your father, Alessandro’s, mesothelioma diagnosis impacted you as a young adult? Paolo: Back then I was 30, and already a father myself. I went through the classic stages of grief. But the first one, denial, was huge. It took me a while to pass that stage. After all, Dad was an accountant, working in a state-of-the-art office building made of glass and steel, not a miner or a sailor. What happened didn’t make any sense to me and my family. Unfortunately we couldn’t do anything about it. Nothing could link the disease to that office without a shadow of a doubt. That was the worst part of the journey. I was left with no answers. Now I think that that lack of resolution shaped my way to look at things and it certainly had an effect on my filmmaker’s stance. It made me more and more inclined to question or doubt all accepted opinions and, consequently, made me aware I need to gauge human behavior through all possible benchmarks, patterns and dimensions. Linda: Your film, The Mother, will certainly help to raise asbestos and mesothelioma awareness. When and how did you come up with the idea to make your film? Describe your creative process. Paolo: Strange enough, the main engine of the whole process, years later, was that lack of resolution. I thought, well, maybe I don’t know why and how it happened, and I can’t do anything about it. But I can certainly make a movie to talk about the ways we, as human beings, cope with our losses. I’m sure there are lots of people out there who have been there before and know how I feel. This is how my short film “The Mother” was born. I wanted to make a movie about the truths we choose to construct when we can’t find a reason for our grief and anger. Linda: As a filmmaker and asbestos victim, what would you like the viewer of “The Mother” to experience? Paolo: I hope “The Mother” will take the audience through a space of bittersweet reflections, a dimension of doubts and crossed lines. Granted, asbestos is the impalpable cause of death of my protagonist’s husband. But how did he get in contact with the toxin? Did it happen in the office he worked in? Can you prove the Corporation is the one to blame? And when you find out that it’s hard to point your finger in a specific direction, what do you do? As the movie progresses, it becomes clear that the audience won’t be spoon-fed with the filmmaker’s answers and points of view. On the contrary, they will be asked to find their own answers and eventually compose their own puzzle. This is how I see life… now that I have gray hair! In my youth, I tried to convince myself that things are black and white. But they are not. Linda: How can our community view and help you promote your film? Paolo: The film won’t be available online for a few months due to restrictions related to Festival submissions. But there’s a lot our community can do in the meantime. I’m a big fan of social media, and the best way to support the film is to look for our Facebook, Twitter, and Instagram’s pages and not only like and follow “The Mother” but also share our posts as much as possible in order to spread the word and get more and more people interested in supporting the film. Short films can’t usually count on a wide audience, but if we boost this tiny little movie, there’s a good chance that someone out there will be seduced by the potential of the story and help us developing a feature. “The Mother” can go a long way and maybe get some recognition. But in order to reach the widest possible audience and eventually raise asbestos awareness, we really need to turn this story into a feature film. Investigative journalist Michael Bowker once wrote: “I think asbestos-related disease victims are still waiting for an ‘Erin Brockovich’ or ‘A Civil Action’ kind of film.” – Well, maybe with your help, “The Mother” can become the springboard for that long-awaited film. Linda: The USA still imports asbestos. What’s your message for Congress? Paolo: When I tell people that Americans are unknowingly being subjected to exposure every day, they look at me askance. When I tell them that the U.S. still imports asbestos and allows asbestos to be contained in toasters, washing machines, dishwashers, and even textile products, their look turns baffled and then shocked. It’s plain simple: people don’t know. They think asbestos diseases are a thing of the past, something related to miners and sailors. But the sad truth is that anyone could join the next generation of victims. If we continue to import and allow asbestos to be contained in our everyday products, these diseases are never going away. Congress needs to acknowledge that asbestos is a toxin that the US failed to regulate for too long. It is time for Congress to resist the enormous pressures of industry and push for legislation that would stop the imports and ban asbestos once and for all. Linda: How were you able to capture your mom’s feelings in this drama? Paolo: My Mom is still angry at the corporation my father worked for. She knows she can’t prove anything but deep inside she’s sure they are the ones to blame. She misses my father so much and still can’t accept the idea that there are no answers. I decided I had to portray her stance in my short film without turning it into the predominant point of view of the protagonist. Her voice is definitely there, but it’s part of a dialogue tinted with doubts and crossed lines. Linda: How did you father impact your work?  Paolo, ADAO salutes your powerful efforts in the fight against asbestos. We are grateful for your work and wish you incredible success with The Mother! Like and follow the film’s Facebook page.